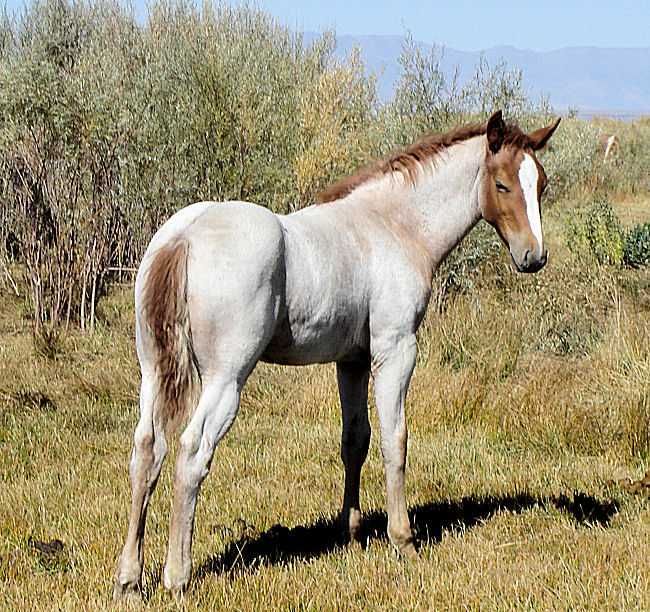 Red Roan/ Filly Clyde/Quarter Cross. 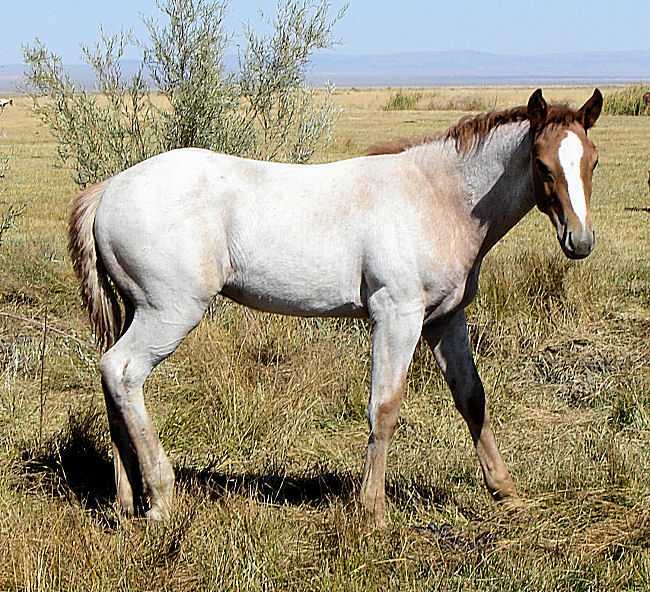 This red roan filly has roan on the top and bottom. 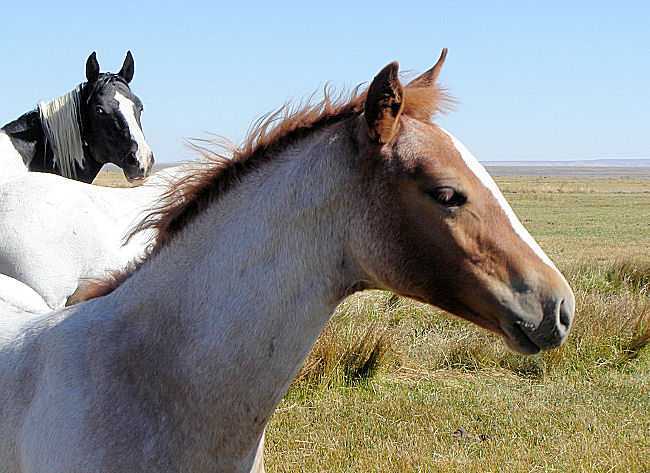 Her dam is a red roan Clyde cross, "Jeri" and her sire is a red roan Quarter horse. This gal should be able to ride western or English with super style.